Long after retirement, South African football icon Jomo Sono still enjoys a healthy relationship with apparel sponsors Puma and Pringle. Doctor Khumalo still attracts endorsements years after the Bafana Bafana legend hung up his boots, with motor company Ford appointing him as its ambassador. A fortnight ago, former Bafana Bafana and Leeds United skipper Lucas Radebe got into bed with leading real estate agency Jawitz Properties as its ambassador. The former Chiefs stalwart counts some of the country’s big corporates, such as Selati Sugar, the Tsogo Sun hotel chain, Chivas Regal and apparel manufacturer Adidas, as his sponsors. At some stage, Teko Modise, Itumeleng Khune and Siphiwe Tshabalala, who has since moved to Turkey, were among the leading PSL players when it came to attracting endorsements. Bidvest Wits and Bafana Bafana captain Thulani Hlatshwayo, as well as Mamelodi Sundowns captain Hlompho Kekana are two players with car sponsorships. Hlatshwayo drives comfortably in a VW GTD from a dealership in Constantia Kloof in Johannesburg, while Kekana cruises around in a VW GTI given to him by one of the dealerships in his hometown of Polokwane, Limpopo. Modise lost his VW endorsement when he left Mamelodi Sundowns to join Cape Town City last year, and is now an ambassador for Lexus. Other players with car sponsorships include Orlando Pirates skipper Happy Jele, who drives a luxurious Lexus, and national team star and scoring machine Percy Tau, who was presented with a Hyundai Tucson at Sundowns’ Chloorkop headquarters in April before his move to English Premier League outfit Brighton & Hove Albion. Khune has been promoting Danone products, including the company’s Danup yogurt. Radebe said integrity and good conduct helped him to continue to attract endorsements even after he retired. “What’s important for me is to stick to the values that I developed as I grew up,” said Radebe. “You can’t dilute yourself – it’s all about quality, credibility, loyalty and relationships,” added the football star, who retired 13 years ago. He said he had to continue working to get such deals as they didn’t come while one rests on their laurels. “It’s hard, but we all have to work. You know, you see how football is at the moment. “It doesn’t matter how much money you have, but it’s not about the money. It’s about yourself because if you are not the right person they are looking for, you are not going to get those opportunities. You have to create them yourself. Puma sponsors a long list of soccer stars, including Mamelodi Sundowns players Oupa Manyisa, Themba Zwane and Lebohang Maboe, as well as Tau. 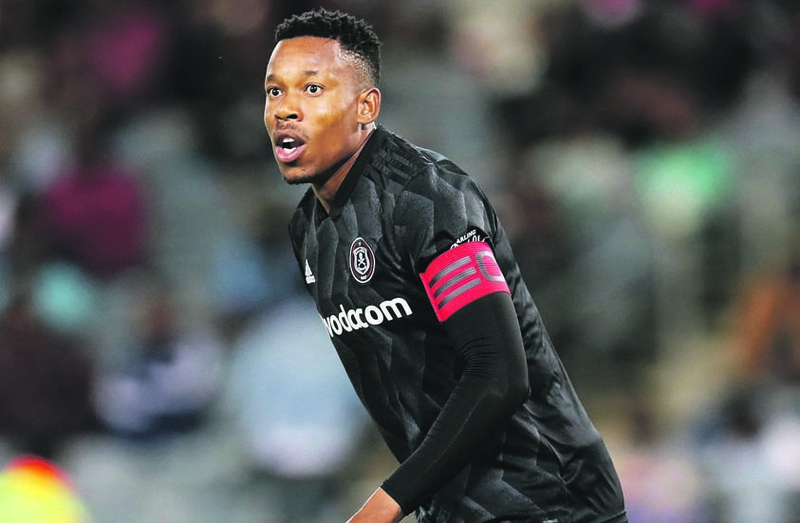 The shoe manufacturer also sponsors Orlando Pirates’ Musa Nyatama, Mpho Makola, Thembinkosi Lorch and Brilliant Khuzwayo, as well as Kaizer Chiefs’ Lebogang Manyama, Joseph Molangoane and Kabelo Mahlasela.